Drivers from Corpus Christi to Kingsville opt for critically acclaimed Ram crew cab trucks, like the Ram 1500 and Ram 2500, because they offer spacious cabins with two full rows of seating for your whole family or your whole crew. Take a look at our Ram crew cab trucks for sale in Aransas Pass to see which model you prefer. 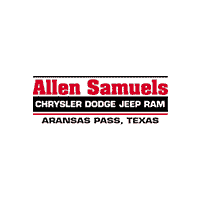 Why Buy a Ram Crew Cab Truck in Aransas Pass? It’s no surprise, really, that Ram crew cab trucks are one of the most popular options among Port Lavaca truck owners. The Ram 1500, for example, outpaces competitors like the Ford F-150. Take advantage of the utility, performance, and towing features of these Ram trucks when you visit us for some test drives and learn about financing offers. Questions? Contact us today to learn more or schedule your test drive.